We advise current and/or former staff to report any abuses you may have witnessed while working at Q & A Associates. For information on your rights and how to take action, visit www.heal-online.org/blowthewhistle.htm. If you were fired or forced to resign because you opposed any illegal and/or unethical practices at Q & A Associates, you have the right to take action. If you were harmed (family or survivor) by Q & A Associates, please contact info@heal-online.org if you remember the long-term employees and from which years. This will help! Also, if you recognize any of these staff as having worked at another program, please send in any information about their past or present employment at other facilities and/or cults. HEAL recommends against placing anyone at this facility and that you rescue any loved one currently enrolled. Angie Shockley Owner/Founder Regarding two recent deaths at this facility, Shockley said: "Shockley said the risk of death, whether by accident, homicide or suicide, comes with the territory of working with an at-risk population. “These kinds of things are going to happen,” she said. “I have to accept that as part of what I do here — there’s going to be another young person die.” See article below for more details. Formerly the Director of notoriously abusive and now closed Alldredge Academy. Shockley is not a licensed counselor in WV. Source: http://www.wvbec.org/images/LPC_weblist_4.22.2016.pdf. Shockley is not a licensed Marriage and Family Therapist in WV. Source: http://www.wvbec.org/images/LMFT_Weblist_2.26.2016.pdf Shockley is not a licensed Social Worker in WV. Source: http://www.wvsocialworkboard.org/Licensure/LicenseVerification.aspx Shockley is not a licensed Psychologist in WV. Source: http://www.wvpsychbd.org/2016-4-14%20Verification%20of%20Licensure.pdf Shockley is not a licensed medical professional/doctor. Source: https://wvbom.wv.gov/public/search/results.asp Shockley is not a licensed nurse. Source: https://apps.wv.gov/Nursing/RNSearch/Results?LicenseNumber=&FirstName=&LastName=Shockley Also reportedly works for Deerfield Restaurant, a program business. 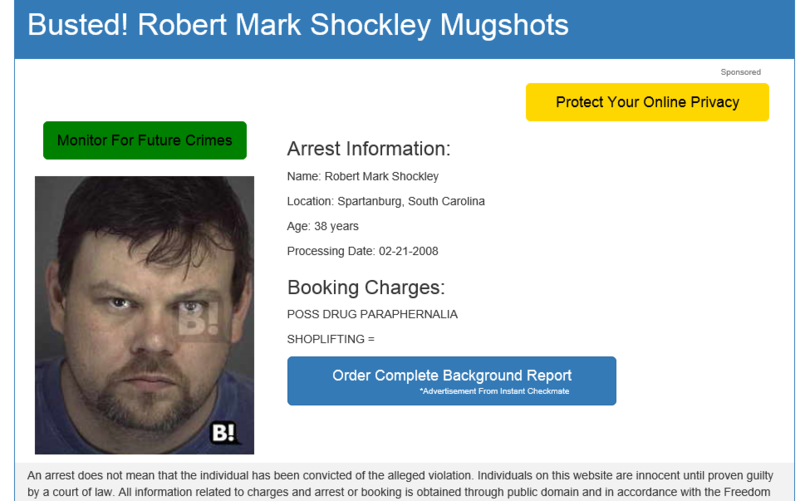 Shockley also reportedly worked for Eckerd Youth Alternatives. Keith Bishop Director Bishop is not a licensed counselor in WV. Source: http://www.wvbec.org/images/LPC_weblist_4.22.2016.pdf. Bishop is not a licensed Marriage and Family Therapist in WV. Source: http://www.wvbec.org/images/LMFT_Weblist_2.26.2016.pdf Bishop is not a licensed Social Worker in WV. Source: http://www.wvsocialworkboard.org/Licensure/LicenseVerification.aspx Bishop is not a licensed Psychologist in WV. Source: http://www.wvpsychbd.org/2016-4-14%20Verification%20of%20Licensure.pdf Bishop is not a licensed medical professional/doctor. Source: https://wvbom.wv.gov/public/search/results.asp Bishop is not a licensed nurse. Source: https://apps.wv.gov/Nursing/RNSearch/ Formerly worked for the now closed Alldredge Academy. (Robert) Mark Shockley Cabin Mtn Living Director Shockley is a licensed Clinical Social Worker in WV. "The "Alldredge Defendants" are Alldredge Academy; Ayne Institute, LLC, an entity affiliated with Alldredge Academy; L. Jay Mitchell and Lance Wells, co-founders and owners of Alldredge; Glenn F. Bender, Alldredge’s Director of Admissions and Marketing; Michael Beswick, Alldredge’s Head of School; J. Weston White, an Alldredge employee; Ron Schwenkler, Alldredge’s Director of Village; Ray Gwilliam, Alldredge’s Director of Extended Stay; Tom Harvey and Carrie Hawkins, two Alldredge Wilderness Field Supervisors; Sandra J. Schmiedeknecht, Alldredge’s Medical Director; Patrick O’Brien, Alldredge’s Village Program Director; and four other Alldredge employees whose last names are unknown but whose given names are Stan, Sarah, Travis, and Keith. 2 The "Greene Defendants" are Nancy V. Greene, individually and trading as Options for Special Kids, and Options for Special Kids." (Page 7) Formerly worked for Eckerd Youth Alternatives as well. Audrey Peavey Admissions Peavey is not a licensed counselor in WV. Source: http://www.wvbec.org/images/LPC_weblist_4.22.2016.pdf. Peavey is not a licensed Marriage and Family Therapist in WV. Source: http://www.wvbec.org/images/LMFT_Weblist_2.26.2016.pdf Peavey is not a licensed Social Worker in WV. Source: http://www.wvsocialworkboard.org/Licensure/LicenseVerification.aspx Peavey is not a licensed Psychologist in WV. Source: http://www.wvpsychbd.org/2016-4-14%20Verification%20of%20Licensure.pdf Peavey is not a licensed medical professional/doctor. Source: https://wvbom.wv.gov/public/search/results.asp Peavey is not a licensed nurse. Source: https://apps.wv.gov/Nursing/RNSearch/ Formerly worked for the now closed Alldredge Academy. Peavey has also worked for NATSAP and Greenbrier Academy. Scott Huffman Admin Asst and Manager of Deerfield Huffman is not a licensed counselor in WV. Source: http://www.wvbec.org/images/LPC_weblist_4.22.2016.pdf. Huffman is not a licensed Marriage and Family Therapist in WV. Source: http://www.wvbec.org/images/LMFT_Weblist_2.26.2016.pdf Huffman is not a licensed Social Worker in WV. Source: http://www.wvsocialworkboard.org/Licensure/LicenseVerification.aspx Huffman is not a licensed Psychologist in WV. Source: http://www.wvpsychbd.org/2016-4-14%20Verification%20of%20Licensure.pdf Huffman is not a licensed medical professional/doctor. Source: https://wvbom.wv.gov/public/search/results.asp Huffman is not a licensed nurse. Source: https://apps.wv.gov/Nursing/RNSearch/ Formerly worked for the now closed Alldredge Academy. Also reportedly works for Deerfield Restaurant, a program business. Tammy Robbins Residential Staff Robbins is not a licensed counselor in WV. Source: http://www.wvbec.org/images/LPC_weblist_4.22.2016.pdf. Robbins is not a licensed Marriage and Family Therapist in WV. Source: http://www.wvbec.org/images/LMFT_Weblist_2.26.2016.pdf Robbins is not a licensed Social Worker in WV. Source: http://www.wvsocialworkboard.org/Licensure/LicenseVerification.aspx Robbins is not a licensed Psychologist in WV. Source: http://www.wvpsychbd.org/2016-4-14%20Verification%20of%20Licensure.pdf Robbins is not a licensed medical professional/doctor. Source: https://wvbom.wv.gov/public/search/results.asp Robbins is not a licensed nurse. Source: https://apps.wv.gov/Nursing/RNSearch/ [HEAL NOTE: There is a Tammy Robbins (may be a different person) who has not been a licensed social worker since 2007. They were licensed from 2001-2007 and have not been licensed since. Source: http://www.wvsocialworkboard.org/Licensure/LicenseVerification.aspx] Robbins also formerly worked for Eckerd Youth Alternatives (also on our watch list.) Also reportedly works for Deerfield Restaurant, a program business. Joan Huffman Staff Huffman is not a licensed counselor in WV. Source: http://www.wvbec.org/images/LPC_weblist_4.22.2016.pdf. Huffman is not a licensed Marriage and Family Therapist in WV. Source: http://www.wvbec.org/images/LMFT_Weblist_2.26.2016.pdf Huffman is not a licensed Social Worker in WV. Source: http://www.wvsocialworkboard.org/Licensure/LicenseVerification.aspx Huffman is not a licensed Psychologist in WV. Source: http://www.wvpsychbd.org/2016-4-14%20Verification%20of%20Licensure.pdf Huffman is not a licensed medical professional/doctor. Source: https://wvbom.wv.gov/public/search/results.asp Huffman is not a licensed nurse. Source: https://apps.wv.gov/Nursing/RNSearch/ Huffman formerly worked at the now closed Alldredge Academy. Erica Peavey Staff Daugher of Audrey Peavey. Peavey is not a licensed counselor in WV. Source: http://www.wvbec.org/images/LPC_weblist_4.22.2016.pdf. Peavey is not a licensed Marriage and Family Therapist in WV. Source: http://www.wvbec.org/images/LMFT_Weblist_2.26.2016.pdf Peavey is not a licensed Social Worker in WV. Source: http://www.wvsocialworkboard.org/Licensure/LicenseVerification.aspx Peavey is not a licensed Psychologist in WV. Source: http://www.wvpsychbd.org/2016-4-14%20Verification%20of%20Licensure.pdf Peavey is not a licensed medical professional/doctor. Source: https://wvbom.wv.gov/public/search/results.asp Peavey is not a licensed nurse. Source: https://apps.wv.gov/Nursing/RNSearch/ Peavey also reportedly works for Ironwood in ME. Gary Mullenax Staff HEAL will check for Mullenax's licensing as soon as possible. Formerly worked for the now closed Alldredge Academy. Also reportedly works for Deerfield Restaurant, a program business. Tom (last?) Staff HEAL requires the full and correct name of staff in order to perform professional licensing checks. Sarah (last?) Applewood Staff HEAL requires the full and correct name of staff in order to perform professional licensing checks. Marci Jones Life Coach Jones reportedly formerly worked for Eckerd Youth Alternatives. Jones is not a licensed counselor in WV. Source: http://www.wvbec.org/images/LPC_weblist_4.22.2016.pdf. Jones is not a licensed Marriage and Family Therapist in WV. Source: http://www.wvbec.org/images/LMFT_Weblist_2.26.2016.pdf Jones is not a licensed Social Worker in WV. Source: http://www.wvsocialworkboard.org/Licensure/LicenseVerification.aspx Jones is not a licensed Psychologist in WV. Source: http://www.wvpsychbd.org/2016-4-14%20Verification%20of%20Licensure.pdf Jones is not a licensed medical professional/doctor. Source: https://wvbom.wv.gov/public/search/results.asp Jones is not a licensed nurse. Source: https://apps.wv.gov/Nursing/RNSearch/ Also reportedly works for Deerfield Restaurant, a program business. Cyrus (last ?) Staff HEAL requires the full and correct name of staff in order to perform professional licensing checks. Tiffany (last?) Staff HEAL requires the full and correct name of staff in order to perform professional licensing checks. Julie Berry Staff Big Johns family fixins restaurant manager-100% collludes with Q&A Associates-is cousins with Angie Shockley and sisters with Merisa Berry staff member. Sarah Fletcher Staff Formerly worked for the now closed Alldredge Academy. Jennifer Randall Staff Formerly worked for the now closed Alldredge Academy. Tom Harvey Staff Formerly worked for the now closed Alldredge Academy. Anne Marie Ramsey Staff Former staff, reportedly deceased. Sarah Smith Staff/Pharmacist Reportedly the daughter of Angie Shockley. Stephen (last?) Staff Also reportedly works for Deerfield Restaurant, a program business. Weston White Director of Program Development White helped launch the now closed Alldredge Academy and also used to work for SUWS (School of Urban and Wilderness Survival). This program does not include the complete enrollment agreement or program details online. We do have a copy of the admissions packet. HEAL is investigating. HEAL has received multiple complaints of death, alleged abuse, and alleged forced labor/slavery at Q & A Associates. Educational Consultants that recommend this abusive program reportedly include: Holly Hunter of Safe Passage Adolescent Services, Jeanette Spires, and Leslie Goldberg & Associates.